Arms Race was shot in late summer 2009 and was released in November 2010. For a 5 minute short film, that’s a rather long gestation period. This is due in part to it being a volunteer project, with the work taking place in evenings and at weekends in small chunks. Such is the way of micro-budget indie filmmaking. Compounding this were the visual effects needs, requiring additional shoots of stunt performers and the miniature robot, the construction of additional props for the cockpit interior and the creation of several matte paintings. All these pieces then needed to be combined into the visited film, plus there was a 5.1 sound mix, a colour grade to be completed and music to be sourced or composed. Even for a short film there are a remarkable number of moving parts. 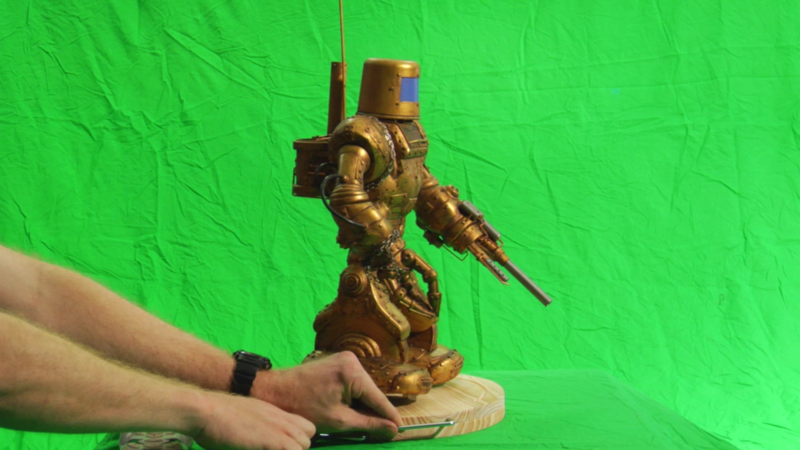 The robot required its own special shoot on a small greenscreen stage. It was as very simple setup, with a ‘lazy susan’ turntable used to make rotating the animatronic creature a little easier. The robot was built on a ‘Robosapien’ chassis, with a completely custom skin giving it a unique appearance for Arms Race. Its actual motor functions remained the same, however, somewhat limiting its performance capabilities. 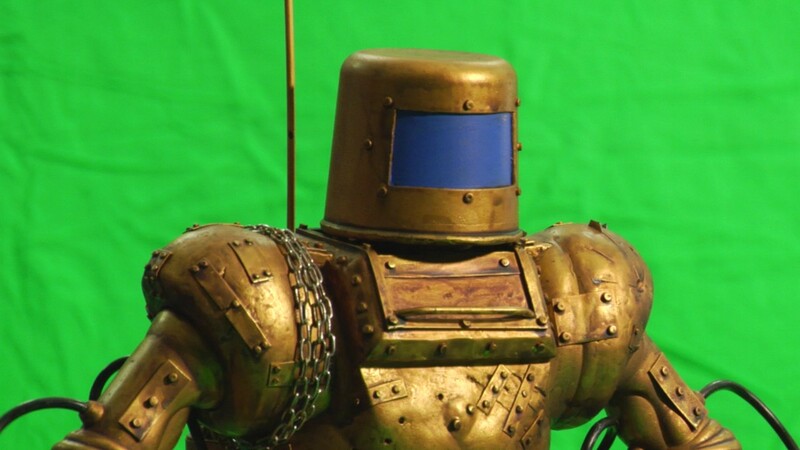 The VFX shots involving the robot were designed to fit around its abilities. The robot’s faceplate was painted blue as we were still unsure exactly how it would be portrayed – would the pilot be visible through the faceplate, or would it be opaque? What colour would it be? What would it look like from the inside? The blue would make it easy for us to replace it with whatever we wanted once we got to the compositing stage. The shot of the armies fighting in the distance, as glimpsed by Clinton through the binoculars, was one of the trickiest shots to conceptualise and execute. 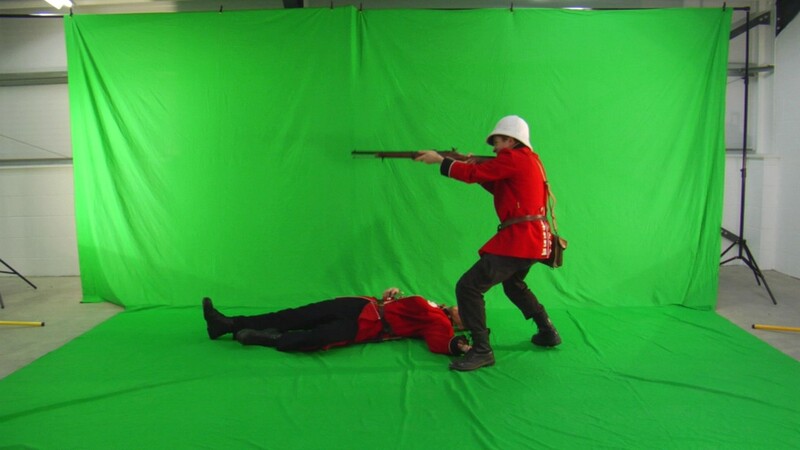 It involved several pieces, starting with the miniature greenscreen shoot above as well as a lengthy ‘stunt’ shoot involving different actors flinging themselves around. Multiple shots of the various actors would later be mixed together to give the impression of large squads of British and Russian infantry. 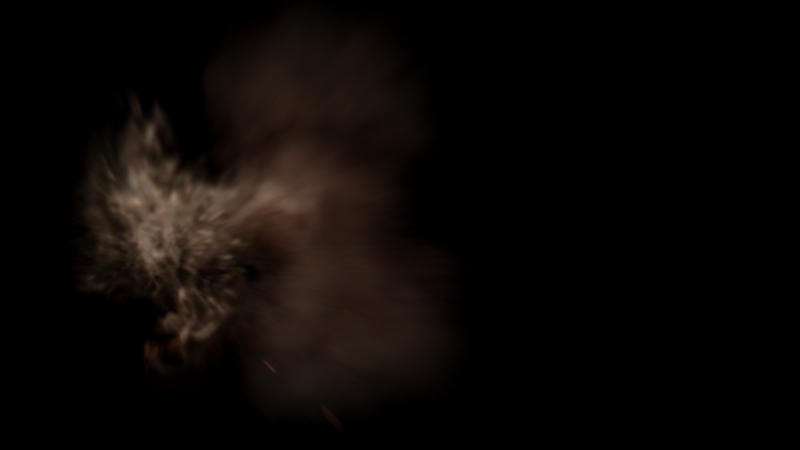 All these different pieces were combined with stock footage of explosions, computer generated muzzle flashes and tracer trails and a matte painting of the battleground (created by Nigel Potter) and several layers of grime representing the binocular lenses to create the final shot. Tarantino has said that the final draft of a screenplay happens in the movie’s edit. With micro-budget films this can be even more true, with production limitations and resource juggling prompting unexpected tweaks and changes. The editing process is complicated yet further when visual effects are involved, as crucial shots will often not even exist yet, necessitating the use of placeholder which are never really suitable substitutes. First comes the rough cut, a very loose assemblage of the live action footage. Generally unwatchable, this tends to be a meandering sequence of shots lacking any sort of pacing, sound mix or atmosphere of any sort. It would be a long haul before the film began to resemble its finished state and before that the visual effects would need to be completed. 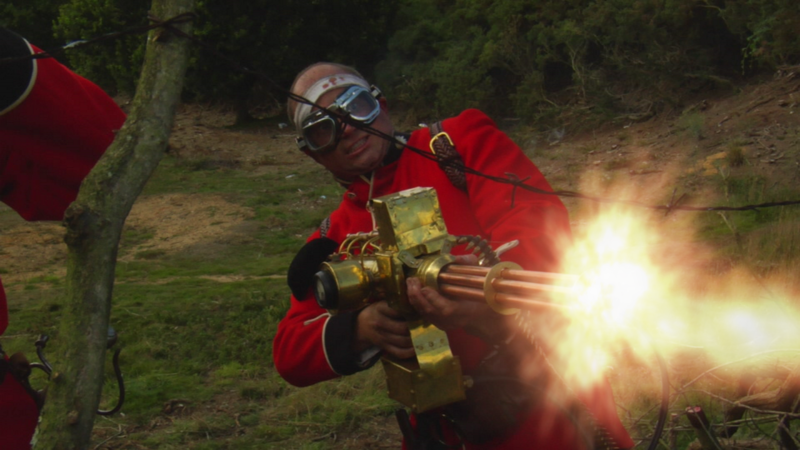 The VFX fell into a few categories: the gatling gun, cockpit interiors, cockpit viewport and the robot itself. 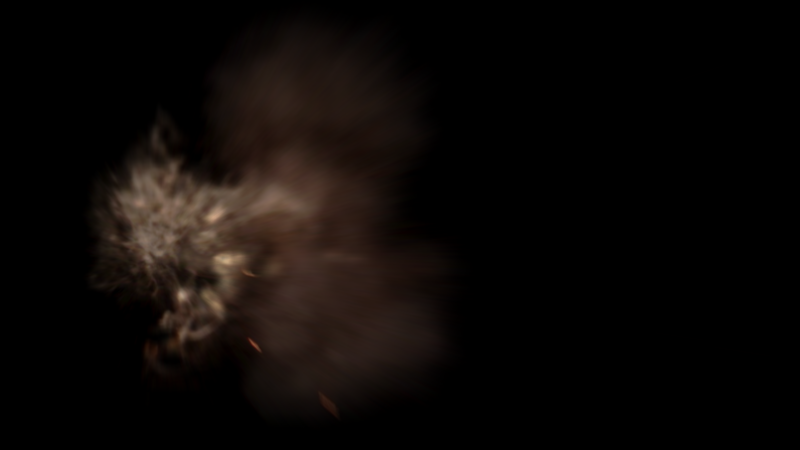 First up we have the CG muzzle flash itself, positioned and rotated in 3D to match the barrel’s orientation. 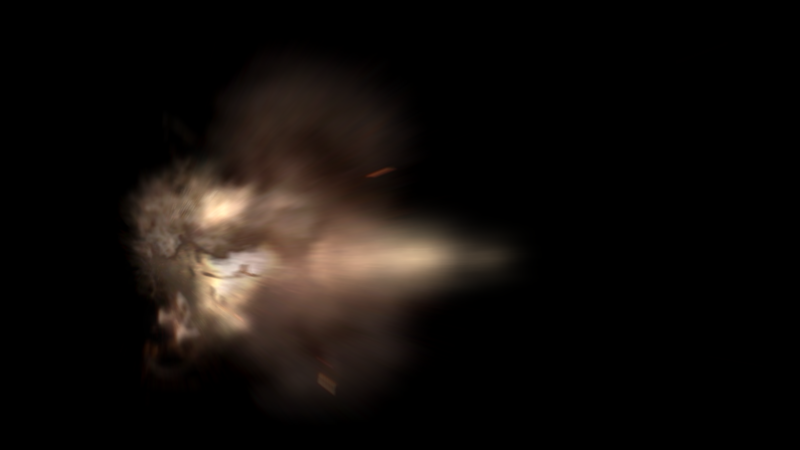 We used FXhome’s VisionLab Studio for this, which has probably the easiest and most effective muzzle flash generator you can find. 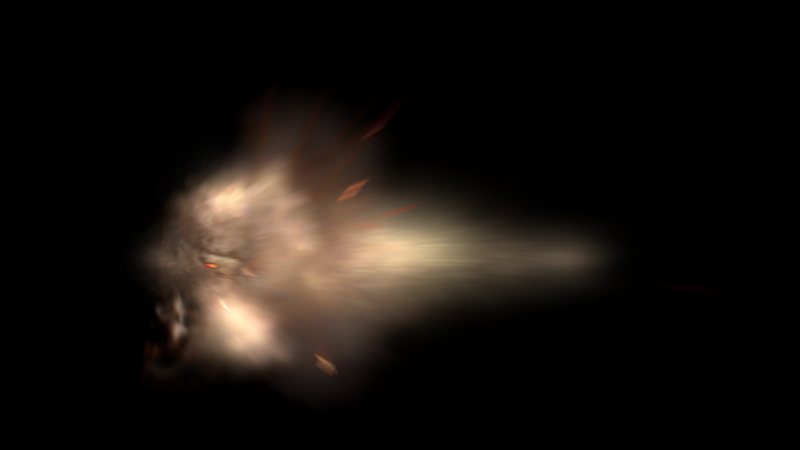 The appearance and behaviour of the muzzle flash was based on the minigun in Terminator 2, which has a two-part flash consisting of the large spread and forward ejection seen in the image above as well as a thinner, longer ejection without the rear halo. 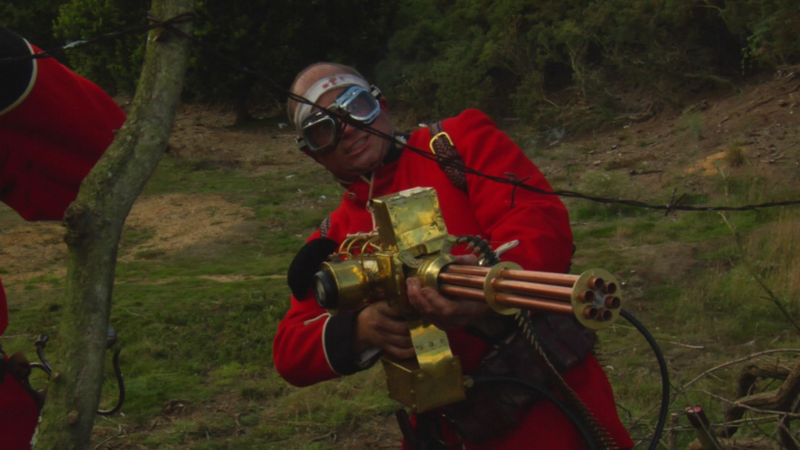 The bullet chain coming out the side of the gun looked great in the shots showing the weapon being attached to Private Higson. Once the gun started to fire, however, it became rather obvious that the bullet chain wasn’t moving. With the barrel rotating, muzzle flashes roaring away and empty shells ejecting out the opposite side, the stationary bullet chain was breaking the illusion of the weapon being operational.